Timed entry passes are issued first-come, first-served Monday - Saturday beginning at 9:am. 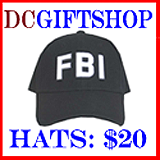 Call (202) 225-6827 for more information. $40 - Own this highly collectible print today Check out the reflection in the street. 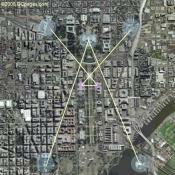 It is rumored that shortly after the United States won its independence, George Washington, Major Andrew Ellicott, Pierre-Charles L'Enfant, and Benjamin Bannaker designed a secret magical compass symbol within the street layout centred on Capitol Hill. The US Capitol is a Temple of Man's Mystic Anatomy.